We currently have 5 mugs in stock. 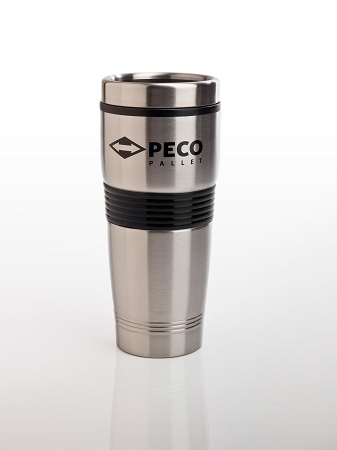 Never be without your hot or cold beverage again with this PECO Pallet 17oz. stainless steel insulated travel mug with non-spill lid. All items include shipping and handling. We currently have [stock] flasks in stock. We currently have [stock] mug sets in stock.